Footer Templates - Dragie features Drag and Drop footer templates of many variations like simple footer, footer with contact form...etc. Rows and Columns - Organize and maintain your website content using Dragie's built-in rows and columns system, where a web page is split into rows and columns to build your website with ease! Built-in Text Editor - Using Dragie's built-in fully featured text editor, you can edit text, change fonts, colors, make text bold, underline, insert unordered lists, tables, links, and even pictures! Definitely worth the money to get this great deal! 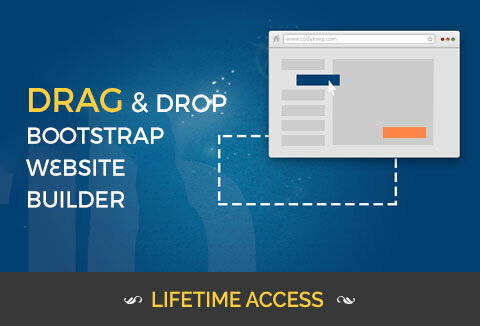 Easy drag n drop website builder!